You only live once – Live Beautifully. You will feel that you have stepped back in time but of course modern conveniences are included such as free Wi-Fi which is available in all four rooms. Simply put, the four rooms are spacious and beautiful. Some have antique furniture and all feature king size beds, private verandahs (where you may see the wildlife that live in the garden) and blockout curtains to enhance your sleep quality. All rooms are ensuited and equipped with quality linen and toiletries. The rooms feature bar size fridges excellent tea, coffee, biscuits and for a night cap, enjoy complimentary port and chocolates. If you book on this site you get the best rate available anywhere! Click on the availability link below for pricing details. Whether you start your day with a tea or coffee or end it with a sunset drink, your privacy is of utmost importance to you… and to us. 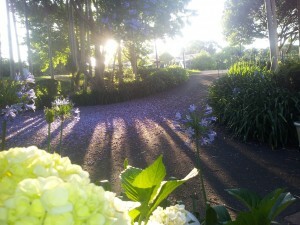 You will feel completely comfortable and at home so you can have a truly relaxing experience. 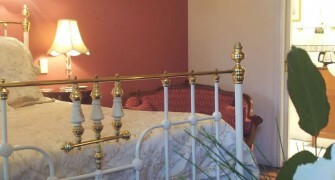 Each of the four rooms here at Amore B&B are totally private, distinctive and intimate. As a picture paints a thousand words we will let the images of the individual rooms do the talking. 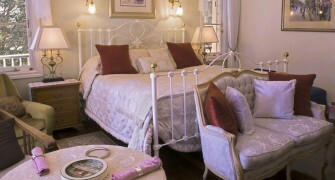 To reflect the elegance and beauty of Amore B&B, each room has been named after fine china. We offer our guests a complimentary, healthy, continental breakfast served in the sunny Dining Room. 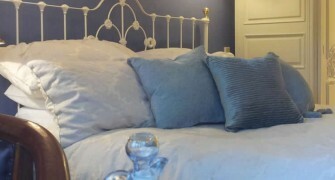 We invite you to view the rooms of AmoreB&B. Download the comprehensive Mt Tamborine App. With over 300 businesses and locations, with GoTambo you can hold all the secrets in your hand.